Ayurvedic medicine is one of the oldest medical systems. It originated in India and has evolved over the past thousands of years. Ayurveda is fundamentally different from conventional medicine which is practiced all over the world. Conventional medicinal treatment attempts to address the symptoms while Ayurvedic medicine attempts to address the root causes of the disease. For example for a severe back pain, a conventional medicine doctor will treat you with pain killers, physiotherapy and surgery. However an Ayurvedic doctor will determine your (constitution)"dosha" and advice herbal medicine, dietary changes and yoga. Ayurvedic medicine has never really caught on in developed countries because of the strict dietary changes that come along with the treatment. In the fast pace life in western countries, people are used to quick fixes and do not pay attention to diet regulations. This is changing as Medical Tourism exposes westerners to the benefits of Ayurveda when they travel to India. People suffering from chronic diseases like Diabetes, heart disease and obesity are now willing to make lifestyle changes. It is difficult to find Ayurvedic doctors in the US as there is a very small market for this profession. However patients who are looking to get Ayurvedic consultation should visit the Ayurveda Portal. 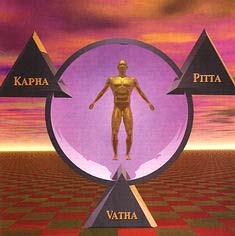 The ayurveda portal has several functions like consultation facilities with specialized panel of doctors, education on ayurveda: its history, principles - vata(Air), pita,(Fire) kapha(water/earth) theory, various treatment methods and herbal plants used, search facility on ayurveda hospitals, resorts and a global ayurveda directory. In the US, Ayurvedic herbs can be bought from Banyan Botanicals which sells Ayurv edic products and herbs online. All their products are "USDA Certified Organic” and can be purchased online. However before purchasing any product a patient must see a Ayurvedic doctor and only on his advice buy the necessary herbs. As the world becomes a smaller place and the easy and west come together, Ayurveda will grow in the western countries just as a conventional medicine is growing in the developing countries. Choice may not always be the best thing, but for patient suffering from chronic diseases having multiple choices for treatment can potentially enable him to enjoy benefits of both forms of medicine.